Finishing your tax return is a great feeling. But even once you've gotten your taxes done, you still need to be on the lookout for criminals seeking to take advantage of you. If you're not careful, you could find yourself in big trouble with the IRS. Every year, the IRS makes a list of the most common tax scams of the year. Here are seven of the worst traps you could fall into for 2013. The most common tax scam involves stealing your name, Social Security number, and other personal information and then using them to file a fake tax return and try to have your tax refund diverted to the criminal. Last year, the IRS managed to intercept $20 billion in identity theft-related attacks before they struck, but even with enhanced systems to intercept fraud, the IRS advises you to take care of your identifying information to avoid potential problems. Learning more about tax identity theft is easy. The IRS has set up a website with specific identity-theft tips, including what to do if you think someone has stolen your identity and suggestions on how you can prevent identity theft from happening. Click here to learn more from the IRS. The majority of taxpayers get help from tax professionals. H&R Block has prepared an average of 10 million tax returns annually since its founding in 1955 and claims to prepare one in every seven tax returns, but millions of taxpayers use independent individual preparers for help. While most preparers are legitimate, some take advantage of their position to run tax scams. Be sure your preparer signs your return and provides a Preparer Tax Identification Number. 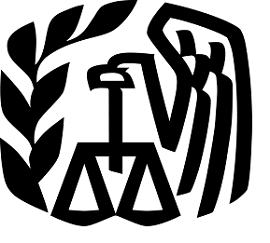 For more tips on picking a tax professional, take a look at this IRS guide. Many individuals try to avoid paying the IRS its due by keeping money outside the U.S. in foreign banks and financial institutions. But new requirements to report such accounts makes hiding money a lot more difficult, and the IRS has worked closely with foreign financial companies to root out tax fraud. It's important to understand that legitimate foreign operations aren't illegal. Tech giants Apple , Cisco Systems , and Oracle hold huge amounts of cash that they earned outside the U.S. in overseas accounts, and until they repatriate it, it's completely legal for them not to pay taxes. Most individuals, though, have no justification for not reporting foreign income under the tax laws. 4. Fake Social Security refunds. Many con artists target the elderly with promises of Social Security refunds or rebates, offering to help them claim nonexistent money from the IRS in an effort to obtain personal information. As appealing as it can sound to get a refund back, most of these promises are patently false. If you don't know someone who approaches you about such a scheme, the odds are good that it's too good to be true, and you need to protect yourself when the criminal inevitably wants your personal information. The most egregious scams involve taking advantage of people giving to charity. Criminals set up fake charities and take donations, only to pocket the cash. To make sure a charity is legitimate, the IRS offers this charity search tool that lists approved charities. Every year, some tax opponents argue that income tax is unconstitutional or otherwise illegal for the IRS to collect and therefore claim incorrect returns showing no tax owed. Using frivolous tax arguments won't save you in the long run, though, and will only get you in trouble. Click here to see a list of frivolous tax arguments to avoid. Phishing involves electronic communications that appear to be from the IRS requesting tax information. The key way to avoid phishing is to understand that the IRS never initiates contact by email, text messages, or social-media sites. If you get an attempted phishing contact, you can help the IRS fight criminals by reporting it. These tax scams can strike at any time of the year, so you have to remain vigilant even after April 15 has come and gone. By taking the right steps, though, you can hold the criminals at bay and protect yourself from scam artists. Apple isn't doing anything illegal with its taxes, but some wonder whether Apple remains a buy after its stock's recent swoon. The Motley Fool's senior technology analyst and managing bureau chief, Eric Bleeker, is prepared to fill you in on both reasons to buy and reasons to sell Apple and what opportunities are left for the company (and your portfolio) going forward. To get instant access to his latest thinking on Apple, simply click here now. The article 7 Tax Scams You Can't Afford to Fall For originally appeared on Fool.com. Fool contributor Dan Caplinger owns shares of Apple. You can follow him on Twitter: @DanCaplinger. The Motley Fool recommends Apple and Cisco Systems. and owns shares of Apple and Oracle.. Try any of our Foolish newsletter services free for 30 days. We Fools don't all hold the same opinions, but we all believe that considering a diverse range of insights makes us better investors. The Motley Fool has a disclosure policy.